Will Hublotistas like it? Will Chronopassion clients get behind it? Will anybody understand what it’s all about? The answer to all the above is undoubtedly a firm yes, but Laurent Picciotto, the initiator of this tripartite collaboration, really isn’t bothered either way: his main concern is to create something unique, off-the-wall, imposing, and coherent. Something that will go down in the history books – one way or another. To the left, Hublot. This Swiss manufacture no longer needs any introduction. 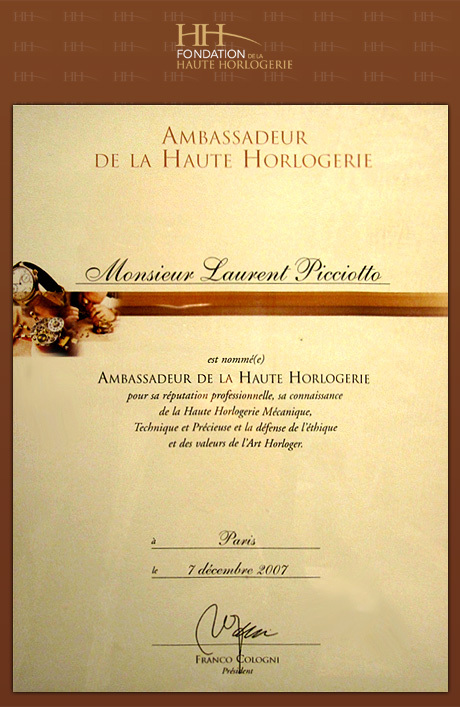 Founded in Switzerland in 1980, the brand’s distinctive feature is its unprecedented association of gold and rubber: the “Art of Fusion” – the brainchild of its longstanding CEO, visionary Jean-Claude Biver, and now thriving under the talented management of Ricardo Guadalupe, CEO since 2012. Today, Hublot is one of the most unconventional, powerful, and innovative contemporary watchmaking brands. To the right, Wild Custom Guitars. Accomplished musicians have had their eye on the company ever since it was first created in 2008. Every word counts: Wild, like the spirit that pervades the creative atmosphere at this French guitar manufacture, a genuine luthier’s workshop where nothing is ever beyond the imagination. Custom, denoting its sources of inspiration: bespoke, top-of-the-range, and exclusive, with a decided preference for US hot rods of the 50s, 60s, and 70s and their V8s – every bit as juiced-up as the manufacture’s instruments. And of course Guitars, acknowledging the unbridled passion for axes that’s won over scores of top-level professionals, including U2, Guns’n’Roses, and Green Day. 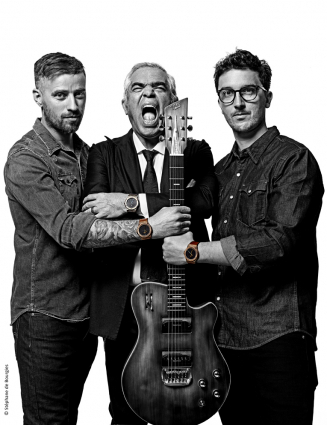 Front and centre stands Laurent Picciotto, the man who opened the first ever Hublot store in the world, went into partnership with Wild Custom Guitars some 10 years later, and continues to uphold the link between the two to this day – the Art of Fusion in person. The result is two Classic Fusions, custom-built and oozing exclusivity: darkened bronze or aged titanium in a nod to the relic style trend for guitars, crafting replicas of iconic models from guitar history with almost obsessional precision. Each features an engraved bezel, custom motifs, a strap designed to resemble that of a guitar, and a Wild Custom caseback – all accompanied by a plectrum to match the case of this very limited edition (2 x 100 watches). Let there be rock!